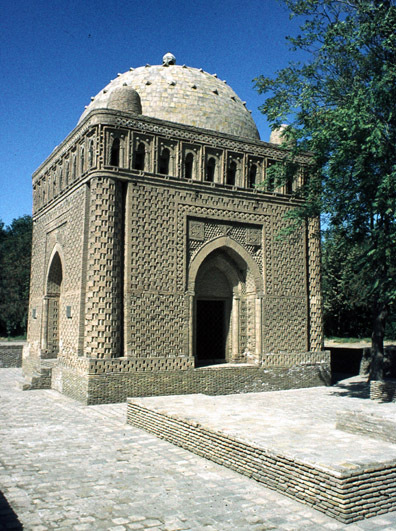 Read Lawrence Scott Sheets, 8 Pieces of Empire: A 20-Year Journey through the Soviet Collapse Extra credit if you can identify this mosque located in a city in Central Asia. Citing specific evidence from Sheets's 8 Pieces of Empire (not from the textbook), what were some of the common features/characteristics of the Soviet Union's break-up in the regions described by Sheets? Before proceeding, you might wish to read the short notes on the Sheets book. Please also make sure that you have read the remarks by Professor Evans on the End of the Soviet Union. You may also want to check out the information in my online notes about the Georgaphy of Russia. Your assignment should be sent to your course instructor following the directions for submitting assignments. Please take a moment to review Charlie's History Writing Center for specific information on the writing requirements for the assignments in the course. The Sheets Paper is worth a maximum of 100 points.